Both the Math and the Mission centres lay emphasis on the dissemination of the spiritual and cultural ideals of India. Through various types of activities, they try to give a practical shape to the teachings of Sri Ramakrishna, especially that all religions are true. The centres establish real points of contact among people of different faiths through a large number of libraries, lectures, seminars, symposiums, youth camps, Balak Sanghas, regular classes, public celebrations, occasional exhibitions, screening films on religious and cultural values, etc. During the year 2016-17, the Math and Mission centres organized 23,371 classes / lectures where 21,39,427 people participated. The centres also arranged 509 retreats in which 1,32,749 devotees attended. Besides, many of our centres served rural folk by spreading spiritual and cultural ideas among them through mobile units like ‘Jnana Vahini’, ‘Viveka Vahini’, etc. Educative and religious film shows, lectures, exhibitions, guided meditation, personality development classes, book-sales, etc were organized in the interior parts of the country. Many centres such as Bagda, Belagavi, Bhopal, Chennai Math, Gol Park, Haripad, Hyderabad, Kadapa, Mysuru, Rajkot, Ranchi (Morabadi) and Vijayawada run institutions like ‘VIVEC’ (Vivekananda Institute of Value Education and Culture) to impart values education to people in general. The Math and Mission screened values education films in rural and urban areas (441 villages, 124 schools) where 95,897 students and villagers get benefited. During the year, 3,77,944 people participated in various programmes conducted by 2,412 cultural units of the Math and Mission such as Balak Sanghas, Yuvaka Sanghas, Jnana Vahini, Viveka Murasu, Institute of Human Excellence, etc. Apart from this, 236 libraries were run by our Math & Mission centres; most of these libraries had attached reading rooms also. Centres of the Math and Mission in India published several books and 16 journals in different languages. The Math centres at Baghbazar (Kolkata), Bhubaneswar, Chennai, Hyderabad, Mayavati, Mysuru, Nagpur, Rajkot, and Thrissur in particular, have to their credit a considerable number of publications. A sum of Rs.22.69 crore was spent on publication work during the year. Our centres in other countries published 9 journals in different languages and some of the centres are also publishing valuable books. Institutes for Sanskrit studies — one for postgraduate studies and research, a Sanskrit college, Bachelors’ and Masters’ Degree Courses in two other colleges, 2 schools, and a few coaching centres were run. The Math and the Mission centres maintained temples and prayer halls, and held lectures, retreats and devotees’ meets. Thousands of people were inspired to accept higher values of life by coming into contact with the different centres. 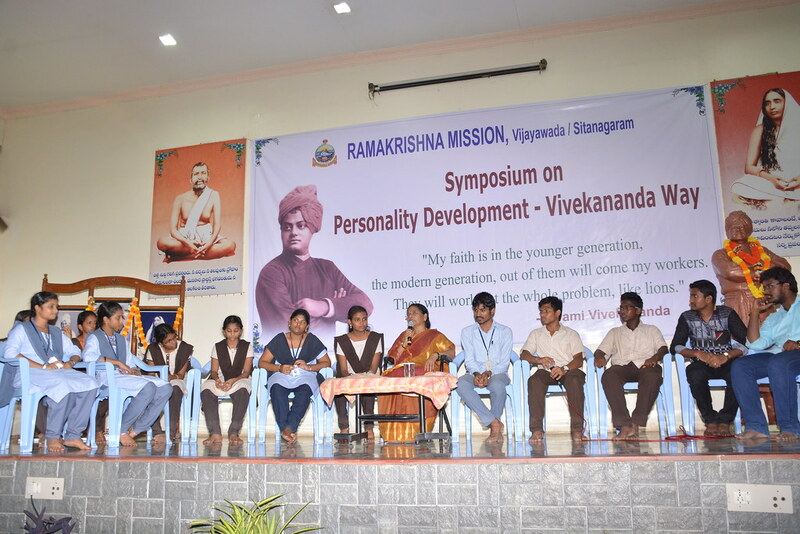 The member Ashramas of Ramakrishna-Vivekananda Bhav Prachar Parishads in different parts of the country also, under the guidance of Ramakrishna Math, strove to spread moral values and culture. Most of the Math and Mission centres celebrated the birthdays of great saints and prophets, popular Hindu festivals and Christmas Eve. The general features of the celebrations of the birthdays of Sri Ramakrishna, Holy Mother Sri Sarada Devi and Swami Vivekananda were: special worship, homa, chanting from scriptural texts, bhajan and sankirtan, distribution of prasad to devotees, feeding of the poor in large numbers, and lectures by the sannyasins of the Order and other eminent speakers. Through all these activities the message of Sri Ramakrishna and his direct associates was spread steadily. Many ardent souls came in close touch with the ideals of the Math and Mission.